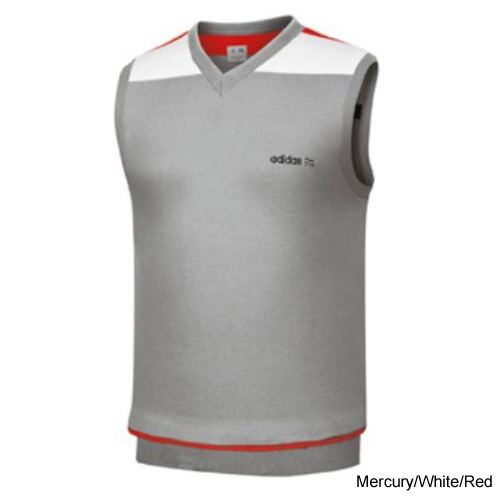 The Adidas Golf FP V-Neck Sweater Vest is definitely in style with this cotton-blend Fashion Performance vest featuring bold colour-blocking on the shoulders and upper back designed to complement any golf outfit on cooler days. 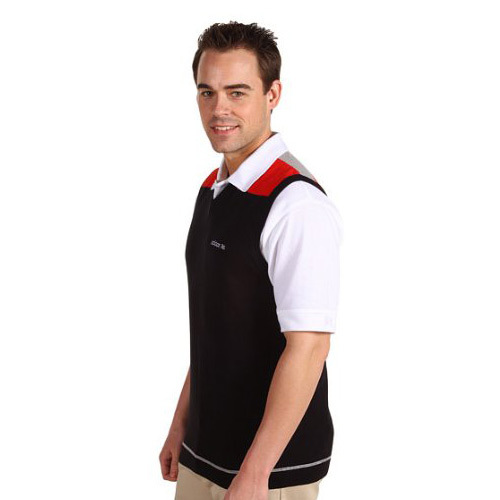 These golf sweater vests feature classic styling designed to accent any outfit flawlessly. 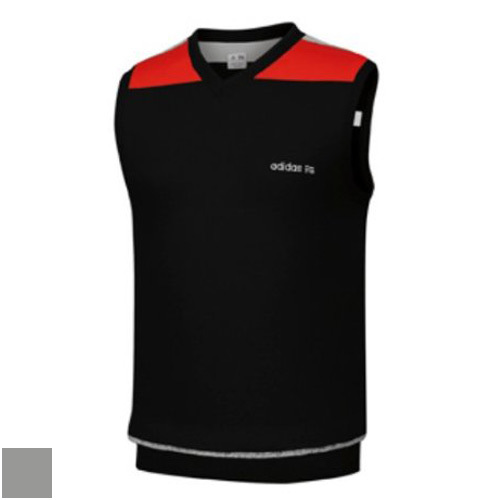 The colour block shoulder stripes add a more vintage style but these golf vests are as modern as they come. 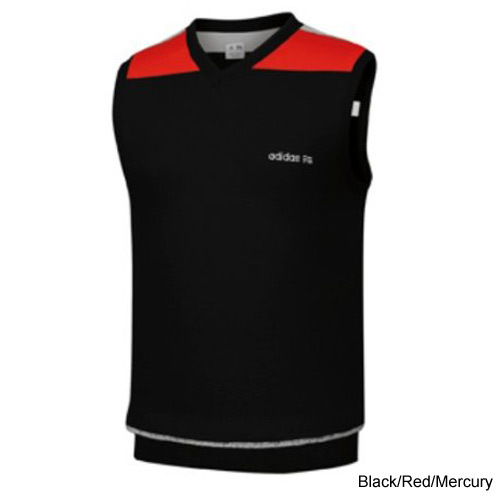 The fabric combination creates a comfortable fit with a little added stretch so these vests won't bulk up your outfit or restrict your golf swing.